IKEA is a name that needs no introduction. Whether you pronounce it ‘ee-kia’, ‘ee-kay-a’ or ‘eye-kay-a’, we can all agree that it’s great for two things: good, affordable furniture and meatballs. This month, the Swedish company will be celebrating Ramadhan and Hari Raya alongside its Muslim friends by giving everyone a special treat between 26 May – 22 June. 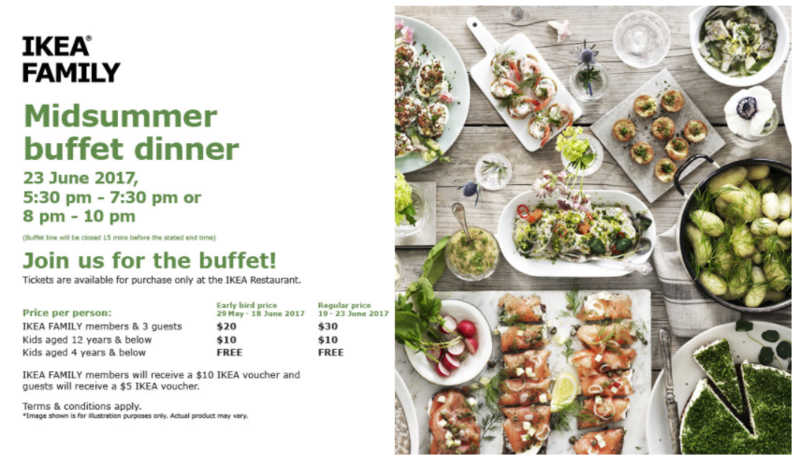 For two weeks in June (12 – 16 June & 19 – 22 June), IKEA Tampines will be holding its very own buffet feast. 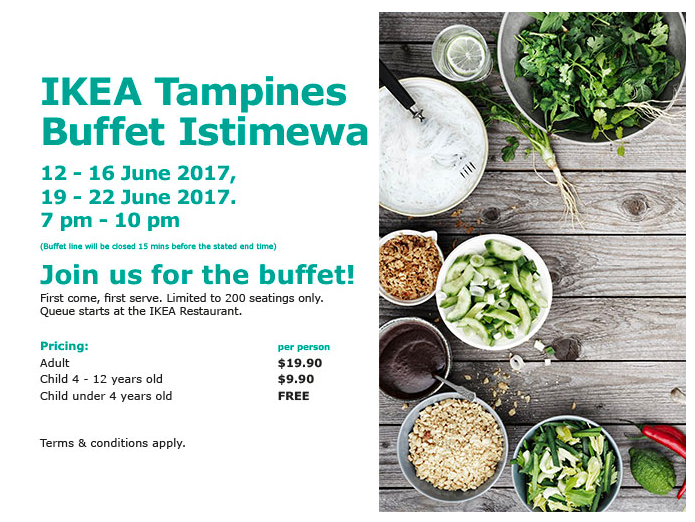 Limited to 200 seats, this Buffet Istimewa is priced at $19.90 for adults and $9.90 for kids. The buffet starts at 7pm and with limited seats available, we recommend grabbing a spot early! 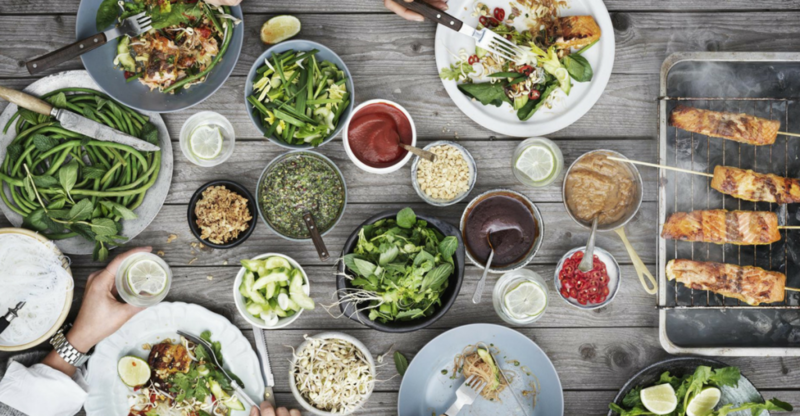 For one day only, IKEA is set to hold a buffet dinner for IKEA Family members to indulge in IKEA Favourites. For $20 per pax, an IKEA Family member and 3 guests will be able to feast on a never ending supply of IKEA’s famed meatballs! Tickets are only available for purchase at the IKEA restaurant, so you’ll have to head down early to secure a spot! For selected weekends in June, IKEA will be extending its shopping hours till midnight! That means you’ll be able to drop by IKEA to pick up that side table you’ve been eyeing, right after work. IKEA knows that shopping can really work up an appetite, so they’re also offering an assortment of local eats at only $2 a bowl. 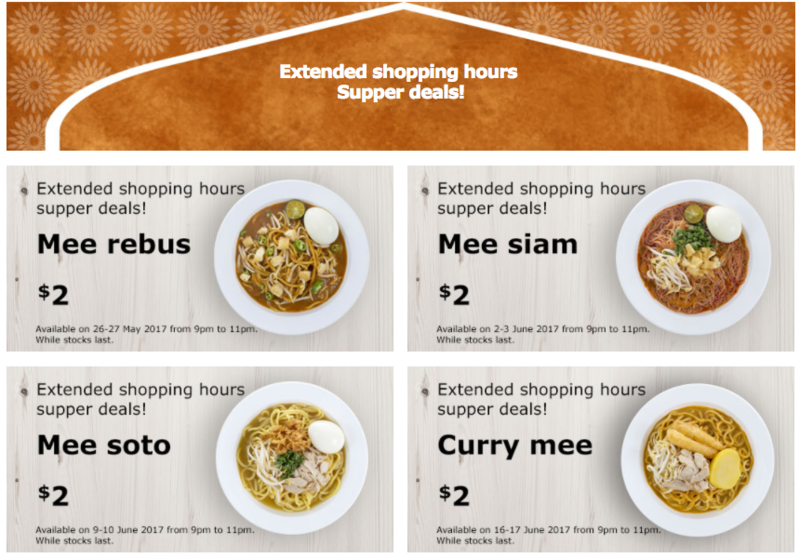 From Curry Mee to Mee Rebus, dig into a comforting bowl of noodles after shopping the night away! Love yourself some IKEA food? Make sure you seize this opportunity to feast, and make sure to share the love with all your Muslim friends!